Those survival reality TV shows all preach about how survival is all about energy conservation or being lazy. 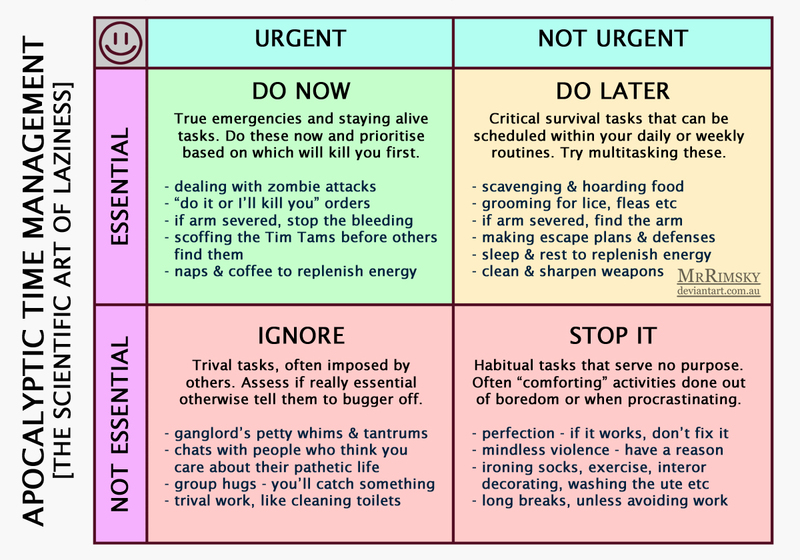 So with limited food and equipment, time management will be an important skill in the zombie apocalypse. 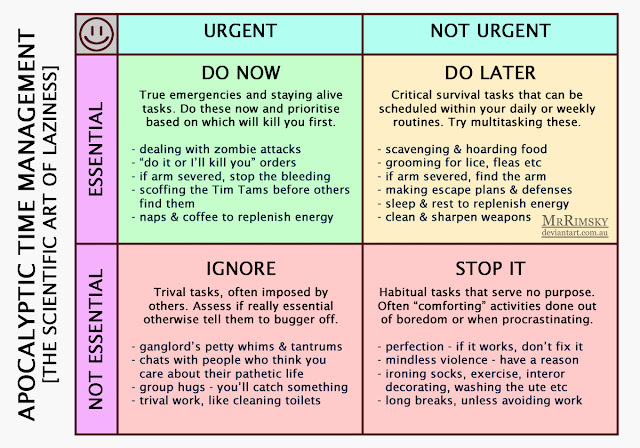 So I took one of those classic time management charts they use at work and adapted it for life in zombies wastelands.